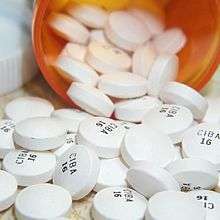 The United States Food and Drug Administration's Investigational New Drug (IND) program is the means by which a pharmaceutical company obtains permission to ship an experimental drug across state lines (usually to clinical investigators) before a marketing application for the drug has been approved. The FDA reviews the IND application for safety to assure that research subjects will not be subjected to unreasonable risk. If the application is cleared, the candidate drug usually enters a Phase 1 clinical trial. Regulations are primarily at 21 C.F.R. 312. Chemistry and Manufacturing Information – Information pertaining to the chemical composition, manufacturing methods, stability, and controls used for manufacturing the drug substance and the drug product. The chemical stability and activity of the product must also have been tested. This information is assessed to ensure that the company can adequately produce and supply consistent and active batches of the drug. Clinical Protocols and Investigator Information – Detailed protocols for proposed clinical studies to assess whether the initial-phase trials will expose the subjects to unnecessary risks. Information on the qualifications of clinical investigators—professionals (generally physicians) who oversee the administration of the experimental compound—to assess whether they are qualified to fulfill their clinical trial duties. Finally, commitments to obtain informed consent from the research subjects, to obtain review of the study by an institutional review board (IRB), and to adhere to the investigational new drug regulations. Emergency Use IND allows the FDA to authorize use of an experimental drug in an emergency situation that does not allow time for submission of an IND. Experimental drugs under an IND must be labeled, "Caution: New Drug – Limited by Federal (or United States) law to investigational use. The FDA runs a medical marijuana IND program (the Compassionate Investigational New Drug program). It stopped accepting new patients in 1992 after public health authorities concluded there was no scientific value to it, and due to President George H.W. Bush administration's desire to "get tough on crime and drugs." As of 2011, four patients continue to receive cannabis from the government under the program. Executive Order 13139, regulates the application of IND drugs to US service personnel. 1 2 "Investigational New Drug (IND) Application". FDA. Retrieved 7 March 2013. Investigational New Drug (IND) Application Process Center for Drug Evaluation and Research, Food and Drug Administration. Troetel, W.M. : Achieving a Successful US IND Filing (1) The Regulatory Affairs Journal. 6: 22–28, January 1995. Troetel, W.M. : Achieving a Successful US IND Filing (2) The Regulatory Affairs Journal. 6: 104–108, February 1995.